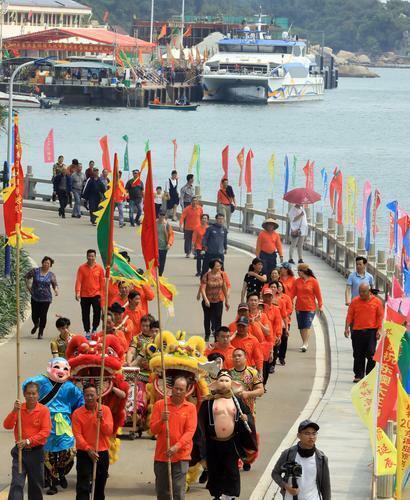 The virtuous and learned Hung Hei (Hung Shing), who issued forecasts to protect fishermen and traders, was honored March 29 on Dong'ao Island with folk arts, piscatorial customs, and delicacies. 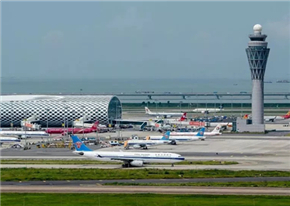 Hundreds of tourists from Hong Kong, Macao, and Guangdong cities joined islanders to celebrate the Hung Shing Festival, which falls on his birthday on the 23rd day of the second lunar month. 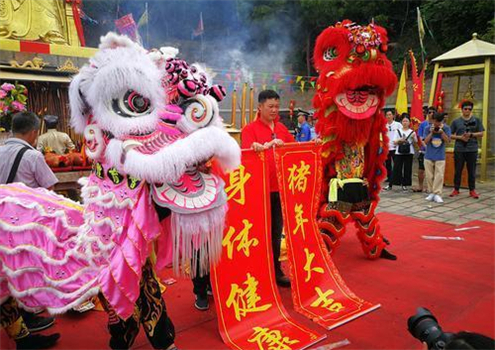 A jubilant lion dance prefaced the annual blessing early in the morning as trumpets blew, drums boomed, and colorful buntings fluttered in the wind. A procession then carried the sacrificial offering -- roast suckling pigs -- to Hung Shing Tai Wong Temple where prayers were made for favorable weather, personal well-being, and national prosperity. A Tang Dynasty (618-907 ce) emperor designated Hung (Hei) Nam as Hoi Kwong Li Hung Shing Tai Wong (literally, St Hung the Great King of Extensive Benefits of South Seas) after Hung had literally worked himself to an early death. The Dong'ao temple was among many built in coastal areas to honor government official Hung who had built and manned the weather observatory. 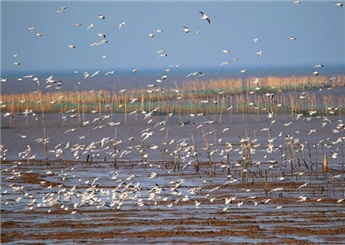 This year's celebration was further diversified from that of last year with a float funded by Wanshan Town, which imitated a "boat" sailing on a "blue sea" to signify a smooth year. 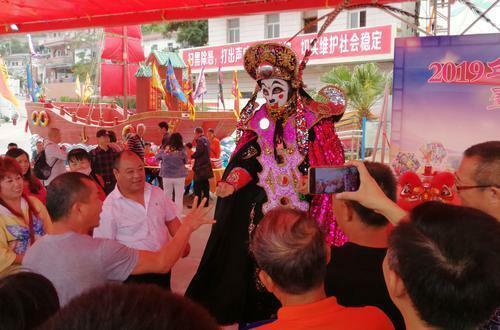 Folk art performances, including magic and acrobatic shows, traditional martial arts, Sichuan Opera face-changing, and oral stunts were performed in the afternoon. 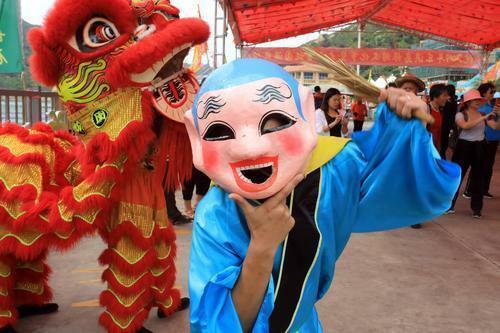 Traditional handicrafts such as dough figurines, sugar-figure blowing, sugar paintings, straw weavings, Chinese knots, and Dragon-phoenix calligraphy also attracted onlookers. In addition to daytime tea refreshment charity bazaars, celebrants also took part in an auction during the 45-table evening feast as a wish for good luck when fishing.